Historical Tapestry: Spotlight On This Is How I'd Love You by Hazel Woods Plus Giveaway! 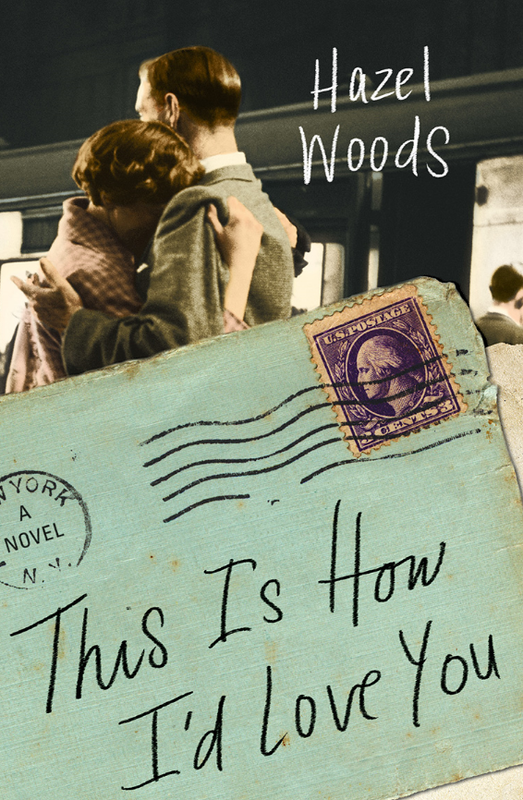 Spotlight On This Is How I'd Love You by Hazel Woods Plus Giveaway! I have had This Is How I'd Love You on my wish list ever since I saw this beautiful cover and read its unusual and intriguing synopsis. Now you have a chance to win a copy of your own! Continue below for information on this exciting new novel, the full blog tour schedule and how you can win a copy! Thank you to Amy at Historical Fiction Virtual Book Tours for the opportunity to offer up one paperback copy of This Is How I'd Love You here on Historical Tapestry! This giveaway is open to those in the US and you have until September 15th to leave a comment below to be entered to win. For your comment let me know why you want to win the book. Be sure to leave your email address (no email, no entry!). For extra entries share this giveaway online and leave a separate comment with the link to where you shared. That's it! I will announce the winner on September 16th and email the winner for their mailing address. The winner will have 48 hours to respond to my email before I pick another winner. Good luck everyone! I agree totally! So many books about WWI or WWII are from the point of view of the English or French or German (which I love, by the way :) ) so this unique setting is really intriguing! I love all types of historical fiction and this one really sounds fascinating. I love historical fiction especially this era. I also love letter writing even though it's just about a lost form anymore. What a beautiful cover! It’s a time period that interests me and I like epistolary format in novels. I have read a few books set during WWII but none during WWI so that caught my attention. I also like the cover. I miss the days of having penpals. I've seen this one a lot lately and I want to read it. I remember, because I love that vintage cover! I haven't really read much form the WWI era, so this will be interesting. Okay everyone, using a random number generator the winner of a copy of This Is How I'd Love You is.....traveler!!! Let me just say I am uber jealous, traveler, and I hope you love it!! I will send out an email now and if I don't hear back from traveler within 48 hours I will pick another winner. Thank you to everyone who entered and be sure to keep an eye out for more winners to come!